The Port of Dover is located in Kent, in the south-east part of England. It is usually known for its proximity to France, being situated only 21 miles away from the French border. Dover Port has also the most success when it comes to the high number of annual travelers (almost 16 millions) and lorries (about 2 million), among all the other great ports from the United Kingdom. This Harbor is made up of the Eastern Docks and the Western Docks. Each one of them presents ferry services. The most appreciated and even awarded location is Dover Marina. It is a fun option for yacht and boat owners, offering top service. You can find here all the necessary amenities like fuel, supplies, shops and other leisure places plus the necessary Internet connection and a 24-hour security. For more demanding customers, there are also two important clubs, with interesting benefits: The Royal Cinque Ports Yacht Club and the White Cliffs Motor Boat & Yacht Club. Port Dover provides a rather small number of local attractions for tourists and travelers in comparison to the other important ports. The top visited are: Dover Castle (Castle Hill, Dover CT16 1HU, Secret War Time Tunnels (Dover Castle, Castle Hill, Dover CT16 1HU), South Foreland Lighthouse (The Front, St Margaret’s Bay, Dover CT15 6HP), Dover Transport Museum (Willington Road, Whitfield, Dover CT16 2JX) and The Pines Garden (Beach Road, St Margaret’s Bay, St Margaret’s at Cliffe, Dover CT15 6DZ). 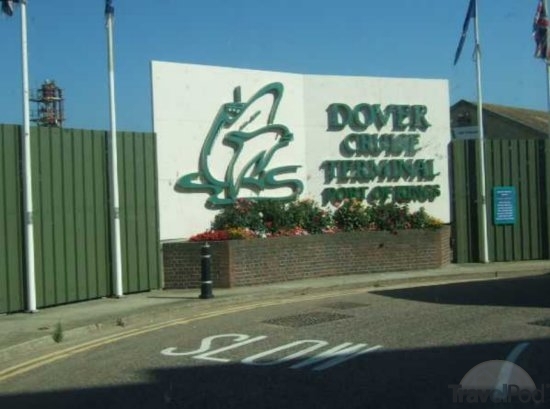 If you land on Heathrow Airport and you need a shuttle to Dover Port, there is a series of means of transport that can take you to this lovely maritime area. For a Heathrow to Dover Port Shuttle by rail, you have two options. The first would be to take the train from Heathrow Terminal 1 (that arrives every 15 minutes) via Paddington, London St. Pancras and Dover Priory Railway Station (every 15 minutes). The total duration of the journey would take about 1 hour and 57 minutes. The second option is to take the bus from Heathrow Central Bus Station (every 30 minutes) via Hammersmith Bus Station and London Victoria (that arrives every 60 minutes). The journey would take about 3 hours and 31 minutes. 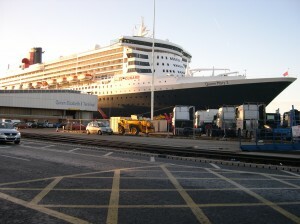 A Heathrow to Port of Dover Shuttle by car can be done by choosing the M25 and then the M20. London Heathrow Airport is at a 105 miles distance from the Portsmouth Harbor. A Shuttle from Heathrow to Dover Port with 247 Heathrow Airport Transfer is going to take about 2 hours and 41 minutes, including traffic. The price for a Heathrow Airport to Dover Port Shuttle starts from 134 GBP.